Chest waders are said to be the most versatile option since they offer optimal coverage so that you can go further, from ankle-deep streams, waist-deep river pools to chest-deep aggressive water. These waders use suspenders in order to securely keep them in placed on your body. Usually, they are cut baggy for additional room, most particularly useful when you necessitate layering warm clothing beneath. The additional coverage offered by these waders can indeed be an asset when you come across unexpected situations like drop-offs, rogue waves, faster currents, stubborn fish landings, hidden holes or any other instances where it turns easy to tip the waders. For your optimal safety, always don a wading belt when utilizing chest waders to avoid flooding them in an unintended brief dipping. Read our review of the Orvis Silver Sonic Convertible-top Waders. 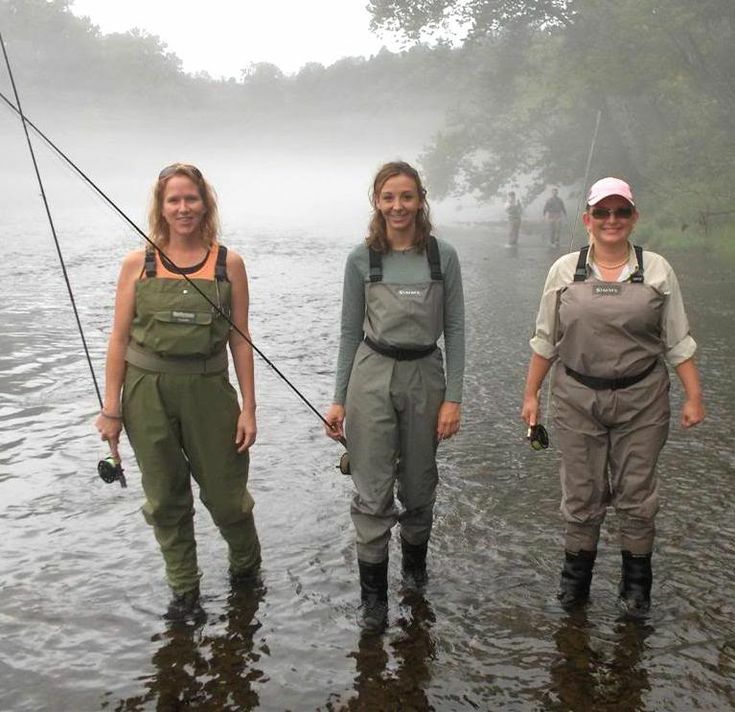 High waist waders fall in between hip waders and chest waders. They are a great choice for wading in faintly deeper waters or when you need extra coverage when fishing in fairly aggressive water currents. Generally, they are styled as a baggy pair of pants which have belt loops to secure them up. However, if you prefer, they can also be worn with suspenders. These waders are meant for water level not deeper than the knee. These are structured in 2 divided portions, one for every leg. Each side affixes to your belt along with straps in order to keep them away from sliding down. Hip waders are the simplest wear and take off, the lightest and most comfortable option within hot weather conditions. Waders can be composed of several materials like nylon, neoprene, rubber and breathable material. To know which one can be the best for you, here are the descriptions of each material. Breathable waders are the most versatile and comfortable. Typically, they are light in weight which makes them perfect for all kinds of weather. As they keep external moisture out, they permit your perspiration vapor to pass through. The usual loose fit of breathable waders also makes them an ideal choice for fishermen. Neoprene waders can keep you warm in cold water and cold weather temperatures. They are widely popular for being extra durable that can stand a long time of the abuse. Additionally, they come in different thickness, the most common of which are 3mm and 5mm. This way, you can choose for the best suit you need. However, since they are not breathable, they can be uncomfortable during warm weathers. Nylon waders are also an ideal choice for beginners in fishing. They are inexpensive and can be either heavy duty or lightweight. They are really durable but can be uncomfortably hot to wear since they are non-breathable, keeping your perspiration inside the wader. Rubber waders are the cheapest waders. They are heavy and durable but significantly limited to hip waders styles. These are a great consideration for those who are tight on budget but due to its material and construction, it is not flexible and non-breathable.